Sagrantino is one of the most tannic grape varieties in the world, perhaps No. 1. All these tannins "tame" and produce a wine that is powerful but also beautiful its fruit preserved requires a lot of knowledge and experience of the winemaker. About Extraction is from the evil one. A well-made Sagrantino takes time and even created the best will only be accessible after a year or 7. 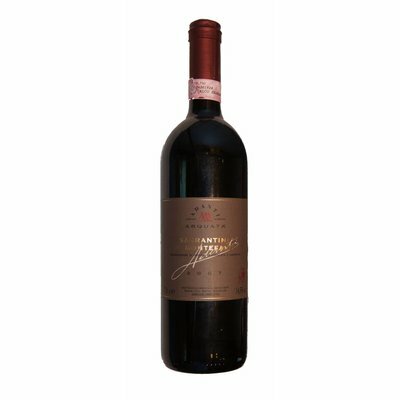 The Adanti 2009 has a nice texture, firm tannins that may merge a few years but have been evolved nicely, and lots of thunder fruit. The 2008 Elegance is replaced by force in 2009.